I always say I'd love to learn to scuba and take underwater photos. It's like some NatGeo fantasy where I catch an awesome shot of a whale shark passing me by. Sadly, I don't scuba. I don't take underwater photos. But, that doesn't mean that you couldn't if you were so inclined! Underwater gear is usually very expensive. Combined with the cost of a camera and lens, you can pretty much kiss a substantial chunk of change from your wallet goodbye. 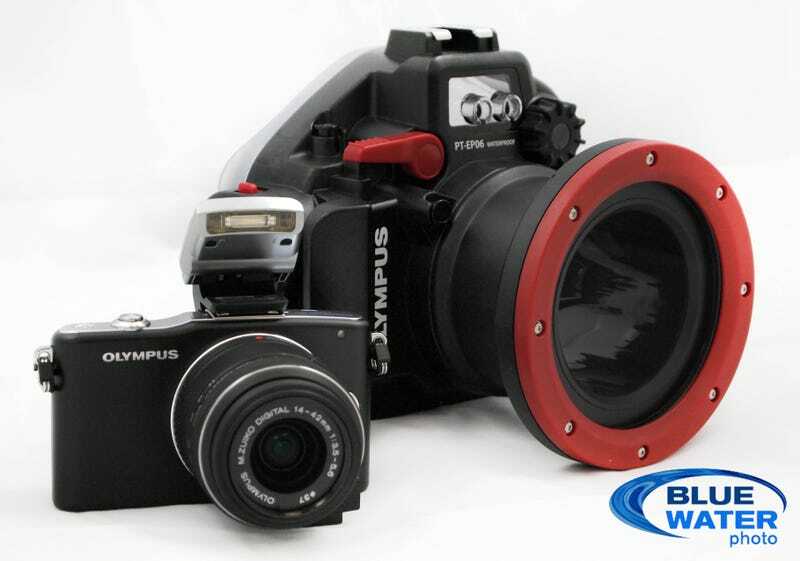 TheWirecutter posted a deal alert on the Olympus E-PM1 bundled with an underwater housing rig for $500. If you've ever considered underwater photography but were put off by the cost, here's your chance to try something new. Sure the E-PM1 is now a two-year-old piece of gear but that doesn't mean that it's obsolete. The large-ish sensor on the camera combined with the robust line up available glass for micro 4/3 systems means that you'll definitely get some use both under the sea and on land as well. First of all, if you go on one dive vacation a year or every two years, this camera will be worthwhile. But if you don’t think you’ll use it, don’t get this camera–be honest with yourself, as this is still a pretty niche device and rig.